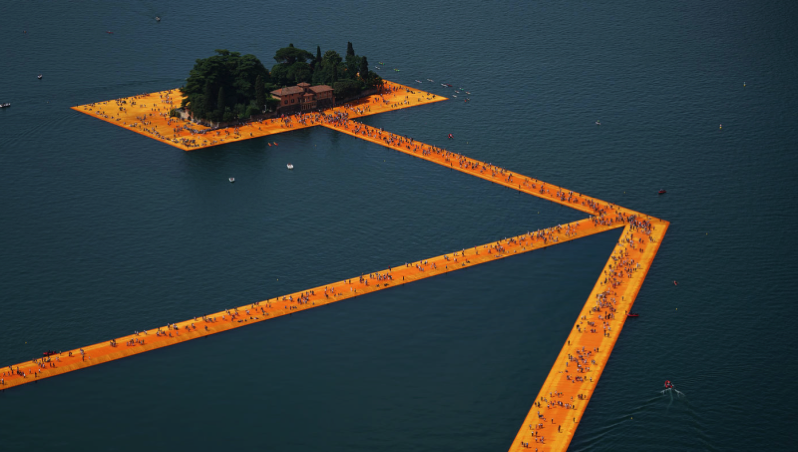 Giant floating art lets people walk on water across an Italian lake #ArtTuesday « Adafruit Industries – Makers, hackers, artists, designers and engineers! Imagine the potential of deploying this type of temporary bridge after a disaster. A pathway like this would allow a city isolated by the destruction of a bridge due to a major storm or seismic activity to be reconnected to the mainland. And it’s not just a poetic solution for post-disaster times. 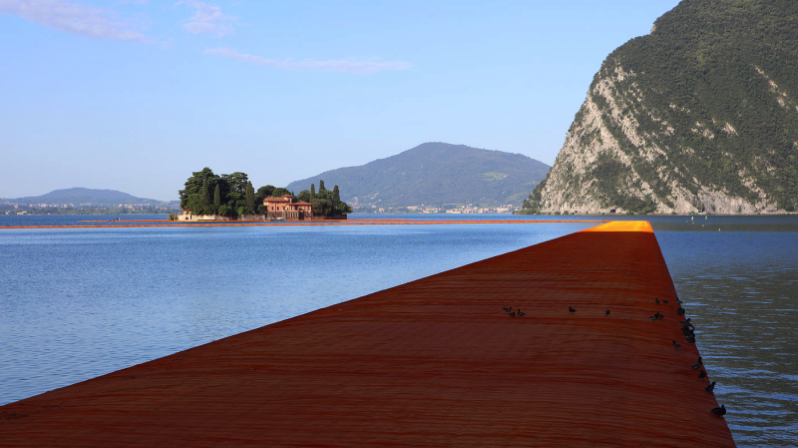 Innovations in floating walkways, and especially ones that look good, have general importance to highly populated coastal areas as sea levels rise.